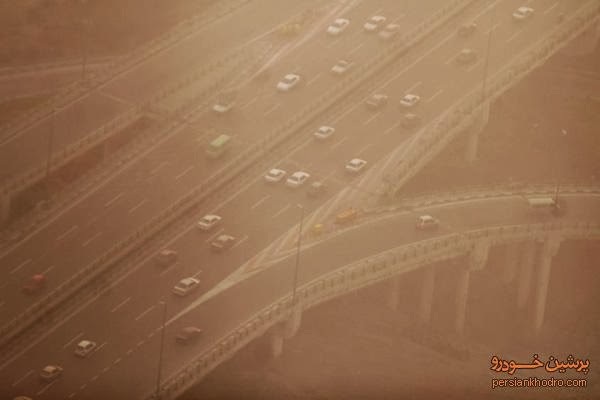 Air pollution has been a persistent problem for the eight million residents of Tehran for many years and the air is getting unhealthier every year. Schools are closed on regular basis due to pollution, while government agencies shorten working hours. Bumper-to-bumper traffic, combined with low quality of domestically produced gasoline and many old and inefficient cars still on the road, is the main culprit. Also, many factories in vicinity of the city are blamed for air pollution. And the geography of the city, wedged between two mountains, helps trap fumes. The air pollution is not limited to Tehran. Four of Iranian cities are among the world's 10 most polluted; with Ahvaz, the capital of oil producing Khuzestan province, topping the list. The main pollution in Iran is caused by the presence of the dirty mullahs.